If you've heard of Albi it's probably because of one of its two claims to fame: Albi is the birthplace of Henri de Toulouse-Lautrec; and it has a truly, truly impressive, almost fortified looking, cathedral, the Cathédrale Sainte-Cécile. There's a lot more to colourful, bustling, provincial Albi than these two big headliners, but many places would build an entire tourism industry around just one of these star attractions. Our recommendations for the best places to stay in Albi are not all in the centre of town, but the main attractions of the area are easily accessible whichever you choose. Albi's old town is petit, but charmingly majestic at the same time. With the two main sights right next to each other. The cathedral, which, when it was built in the 13th Century, was the world's largest brick building. Right beside the cathedral is the Musée Toulouse-Lautrec, which now occupies the old Palais de la Berbie, or archbishop's palace, and contains a diverse variety of art pieces. As well as housing more than 500 works by Toulouse-Lautrec, his museum also has some impressive pieces by Matisse, Gauguin and Dufy. It's more of a museum to the whole movement he was part of. But if you're interested in Lautrec's development as an artist then this museum offers some truly amazing insights. The two arched bridges straddling the Tarn into the old town also contribute to making this a very photogenic Episcopal City (it's really more of a town). Alternatively, stroll around the beautifully manicured Les Jardins de la Berbie with impressive shapes formed by the hedges. The views across the river from the gardens are also stunning. Or for a tranquil experience visit Cloitre de la Collegiale Saint Salvy - a charming collection of cloistered walkways and gardens making it a lovely gem in the town. This lovely city can become a very busy spot during the summer months, so if you want to book one of the best places to stay in Albi during July and August, plan well ahead. Alternatively plan your visit for the quieter months, when you can really appreciate the stunning sights without the crowds. 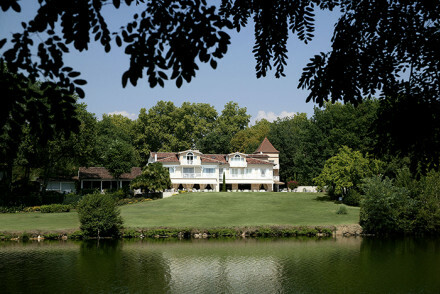 The Chateau de Salettes is an elegant, tranquil choice. Now a thirteen room hotel, this chateau dates from the 13th century, and was once owned by the Toulouse-Lautrec family. Surrounded by vineyards, here it's possible to drink the chateau's own wine in a Michelin starred restaurant. Undoubtedly one of the best places to stay in Albi and the surrounding area for those who aspire to the finer things in life! 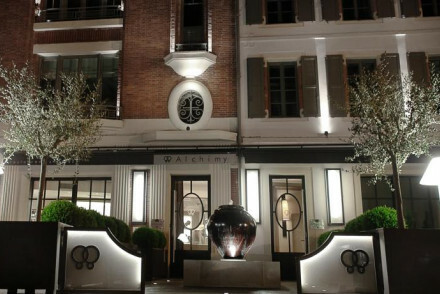 Hotel Alchimy: in a newly renovated Art Deco building, this contemporary family run boutique hotel adds a touch of the jet set to the sleepy historic town of Albi. It has a certain je ne sais quoi that couples wanting a luxurious base from which to explore the city and surrounding area will love! La Reserve, Albi is a smart and charming hotel near the gorges of Tarn. Elegant rooms, spacious poolside and the picturesque garden overlooking the river. Fishing, sailing, tennis and the sights of UNSECO-listed Albi nearby. Ideal for couples on a romantic getaway. Reasonably priced, Chateau de Touny - with its pretty buildings, luscious green gardens and swimming pool - is the perfect spot for relaxation. Individually styled guest rooms are chic and comfortable. Sit outside on the sun terrace and enjoy Gaillac wines straight from Chateau de Touny's very own vineyard. If you'd prefer a self-catering option this holiday - don't hesitate to visit our online partner, Booking.com for a diverse selection of properties ideal for exploring the town. Fly to Toulouse–Blagnac Airport located 85km (52 miles) from Albi with a selection of flights across Europe and further afield. If you want to rent a car to explore the town and region beyond - click here for prices and booking with our online partner, Rental Cars. Best time to visit - the summer months of July and August for hot weather. But May, June, September and October are a good alternative with warm days and less tourists! Alternatively widen the net and check out all our recommendations in the Tarn. An historic property in the heart of the medieval city of Albi. Rooms combine traditional and contemporary styles - think boldly patterned wallpaper, antiques and contemporary bathrooms. The city's major attractions are just steps away. Excellent base for local exploring and great value. Local exploring - Well positioned in the heart of the city ideal for exploring the sights on foot. Sights nearby - Just a few steps from Sainte Cecile Cathedral. 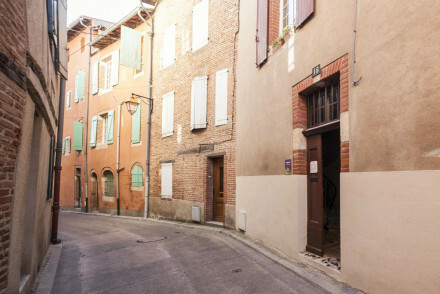 Charming accommodation in the heart of Albi. 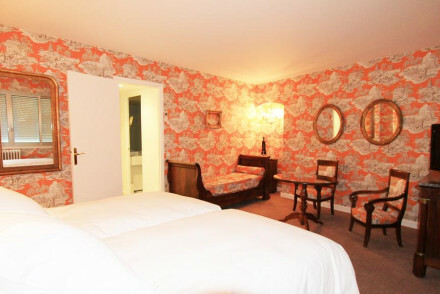 Chic en-suite rooms are decorated with bright colours and a mix of antique furniture and rustic furnishings. A terrace offers views of the Old Town and river and the best rooms have views of the cathedral. An ideal base for exploring Albi. Local exploring - Perfectly positioned to explore Albi and its surrounds. Families - There is a family-sized room on offer. Sights nearby - The B&B faces Albi's cathedral and is a short walk away from its doors. 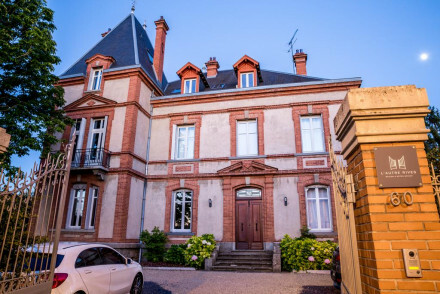 Elegantly renovated 19th century house, now B&B, only 5 minutes from the historic centre of Albi. Stylish rooms keep all their original features yet feel fresh and contemporary and all overlook the enclosed garden. A delightful base to explore the medieval city from. Local exploring - Perfectly situated within walking distance of the historic centre of Albi. Sights nearby - Visit the striking 13th century cathedral. 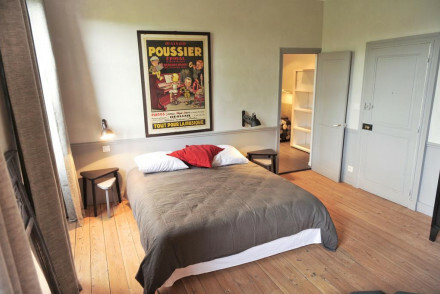 A stylish B&B occupying a very central position in Albi. Elegant rooms are decked out with polished parquet floors and vintage furniture. The expansive mature garden plays host to an equally well proportioned pool. A chic spot to come and unwind. Local exploring - Situated in the centre of Albi explore not just the beautiful town, but also the surrounding area. Sights nearby - A 10 minute walk from Sainte-Cecile Cathedral. In a newly renovated Art Deco building, this contemporary family run boutique hotel adds a touch of the jet set to the sleepy historic town of Albi. It has a certain je ne sais quoi that couples wanting a luxurious base from which to explore the city and surrounding area will love! Sights nearby - Nearby Sainte-Cécile Albi's 13th-century cathedral is the largest brick building in Europe and well worth a visit. Local markets - Visit the Saturday market in Albi where you will find a whole host of local produce and yummy food on the go. A smart and charming hotel near the gorges of Tarn. Elegant rooms, spacious poolside and the picturesque garden overlooking the river. Fishing, sailing, tennis and the sights of UNSECO-listed Albi nearby. Ideal for couple on an escape to France.